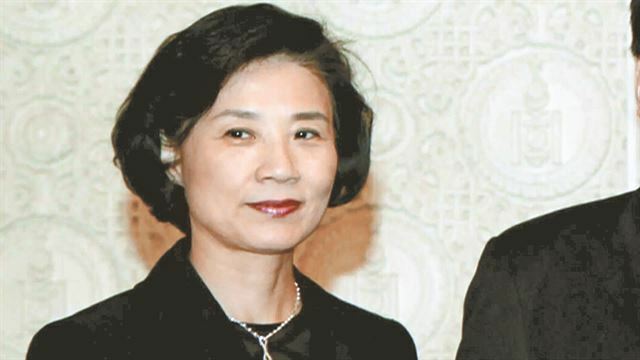 Police will call in the wife of Korean Air Chairman Cho Yang-ho for questioning next week over allegations that she used verbal and physical violence against construction workers, company employees and others, officials said Monday. Lee Myung-hee, 69, will be the third member of the family to face police questioning over alleged mistreatment of company staff and others under their influence after her two daughters were accused of similar misconduct, including the popular "nut rage" incident involving her eldest daughter. The second daughter is facing allegations she threw a cup of water at an advertising firm executive. Police plan to question Lee on May 28 over allegations that she physically and verbally abused construction workers at a hotel construction site in Incheon, west of Seoul, in 2014. Video footage showed a woman resembling Lee pushing one of the construction workers and throwing documents carried by another. Since the footage was made public, more victims of Lee's abuse have come forward, including former and incumbent employees of the family's Hanjin Group as well as a chauffeur and a maid. Officials said the victims total more than 10.